November 27, 2013 / admin / Comments Off on Big Sale! For the next few days you can purchase three of my books at a significant savings. 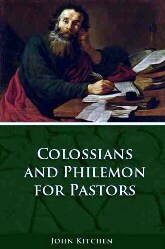 You can get my commentaries on The Pastoral Epistles and Colossians/Philemon at a savings of 65% through November 30th when you purchase them through the publisher’s website (www.kressbiblical.com) and use coupon code BR60833557256. The Colossians/Philemon commentary retails for $29.99 and for the next few days you can get it for just $10.49. 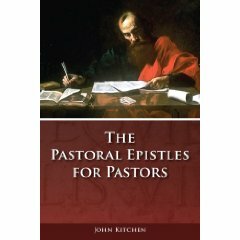 The Pastoral Epistles retails for $39.99 and is available now for just $13.99. You won’t find better prices. These would make great Christmas gifts for your pastor, Sunday School teacher, Bible study leader, or anyone who loves God’s Word. Also the e-version of my book Long Story Short: God, Eternity, History & You is on sale through December 2 for just $3.99 (regular retail is $12.99) at Amazon.com. I you are able to help spread the word via Facebook posts, Twitter, email lists, etc. I am grateful!